Dr. Joy Kutaka-Kennedy has served in the Department of Special Education at Sanford College of Education since 2003, almost 15 years. She earned her doctorate from the University of San Francisco in Curriculum and Instruction with a specialization in Mild/Moderate Special Education, completing her dissertation titled “Inclusion in secondary general education classes: What do students with Emotional and Behavioral Disorders think?” Prior to becoming an academic, she honed her teaching skills and K-12 expertise through 18 years of teaching in grades pre-K to 12 in general, special, gifted and at-risk education. She began in self-contained general education multiple subjects classrooms and single subject classrooms in English/Language Arts, World History, Biology, and Physics. She also taught a weekly pull-out of gifted students for a semester and a self-contained 4/5 class for students identified as highly gifted for a year, plus at-risk students in a court/community school setting. She entered special education and taught high school students with emotional and behavioral disorders and early childhood special education students at the county office level. 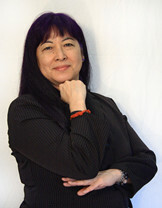 She presents at numerous national and international conferences, often as a keynote speaker, on topics such as the impact of augmented and virtual reality on learning, online instruction for the 21st century, generational differences in educational technology preferences, online supervision of online K-12 teaching, online mentoring, and online course design to enhance creativity and collaboration. Her current responsibilities include course design and oversight, field work supervision, and mentoring new faculty in higher education. She serves as the Treasurer of the California Association of Professors of Special Education, completes program reviews for national accreditation, and performs editorial reviews for professional journals.